Norbert Wiener (1894-1964) was a major figure in mathematics of the 20th century, and his interests extended far beyond traditional boundaries. He was a faculty member in the Department of Mathematics at the Massachusetts Institute of Technology, from 1919 to 1960, and was named an Institute Professor, MIT’s highest faculty honor, in 1959. Wiener’s interest in interdisciplinary science, advocating for research between mathematics and other disciplines including physiology, biology, electrical engineering, and physics resulted in his collaboration with scientists in many fields. He coined the word “cybernetics” in the 1940s to cover his developing ideas related to feedback control systems and communication systems. In 1933 Wiener became acquainted with Arturo Rosenblueth, a Mexican physiologist who was leading a series of interdisciplinary seminars at the Harvard Medical School. It appears that this interaction was the intellectual beginning of what would become the publication Cybernetics (1948). In the mid-1940s Wiener began to focus on neurophysiology. He advocated an interdisciplinary approach in which physicists, electrical engineers, and biologists could combine forces. He and John von Neumann started the Macy Conferences on “Circular Causal and Feedback Mechanisms in Biological and Social Systems.” There have been several conferences in Wiener’s honor which speak to his continued importance. Among them are the Norbert Wiener Centenary Congress in 1994 and the IEEE Conference on Norbert Wiener in the 21st Century, held in 2014 in Boston and 2016 in Melbourne. 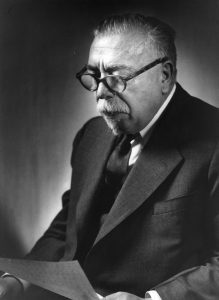 The MIT Institute Archives & Special Collections curates the Norbert Wiener Papers, consisting of two primary series: (1) an extensive personal and professional correspondence file with American and international scientists, and (2) manuscripts of his books, speeches, and notes, as well as writings by others. The gradual development of information theory and cybernetics is found in correspondence with Arturo Rosenblueth, John von Neumann, W. Ross Ashby, and Warren S. McCulloch. Several folders of material specifically relate to McCulloch and Ashby. A portion of the Norbert Wiener Papers were digitized for this project.